This NAIDOC Week 2018, we remember, pay our respects to and thank the many many Aunties, colleagues and friends who have directed the building of Paint the Town READ, Black and Yellow across Australia. Thank you for your wisdom, love, forgiveness, laughter and patience as you have led and taught your non-Indigenous friends, for the sake of your children and grandchildren. Follow us on Facebook this week as we reflect on and thank a representative group of these women from across Australia. Many years ago, I was principal of a country school. It bothered me that too many of our children had trouble learning to read and write. It bothered me into action. In my school we made a huge effort. Best practice. It was a blitz. With great results, right? Well, no. We had results, but they were not great. For all our efforts, the results were — as a teacher I hate admitting this — disappointing. This got me thinking. Are some children just doomed? Or were we missing something? I looked wider. What I found changed everything. Study after study showed that a child’s ability to learn to read and write at school is set in the first five years of life. The first three years, in fact. School was too late. And what’s needed in those early years? Simple. Yet I could see that it wasn’t happening in many families. Spend time with children every day, from birth — talking, singing, rhyming, reading — and you’ll prepare them to read and write at school. It’s from this insight that Paint the Town REaD was born. ‘Painting the town red’ carries the notion of celebration, of ‘doing’ the town, of saturating it with excitement and enthusiasm. 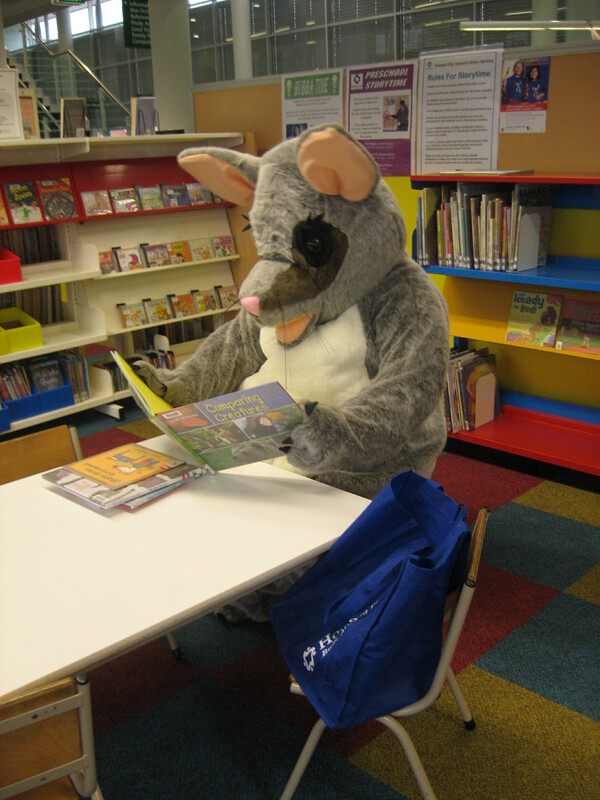 That’s the literacy culture we want to generate. We pull together community groups, agencies and businesses, and we inspire them to integrate this culture into everything they do with (and as) families. And to keep inventing the most fun and creative ways to do so. It’s a growing, nationwide network of people whose influence can change thousands of lives, long term. 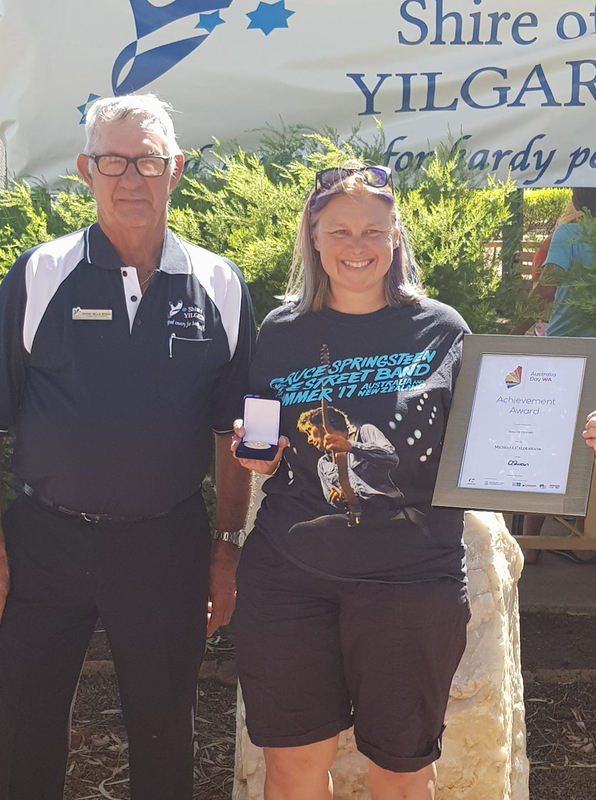 Michelle Calderbank was presented with WA’s Shire of Yilgarn Australia Day Active Citizenship Award for her significant contribution to supporting the Yilgarn community. Michelle set up Paint the Yligarn REaD in her own time to provide the next generation of children in Southern Cross with the best possible chance to reach their potential. Michelle is a high school English teacher and witnesses firsthand the significant challenges for young people when they have not had the important early literacy foundational experiences. A long-time resident in Southern Cross, Michelle had the connections and the respect in the community to engage everyone in supporting and spreading the PTTR message. And this included her high school students who eagerly took on the catering role at the launch event, and gained catering qualifications in the process. Michelle has a number of other voluntary roles in the community such as running the Young Entertainers program for the past 12 years and active involvement in sporting clubs. Congratulations Michelle – a great PTTR Champion. Michelle receiving her Australia Day Award. And yes, singing is an important part of the PTTR message. Thank you to everyone who has made this year so special by increasing the opportunities for children to enjoy the wonder of being read and sung with. From our amazing local community groups – now 50+ over five Australian states, through to funders like the St George Foundation, the AMP Foundation, the Eureka Foundation, the Commonwealth Bank, private donors and the many many probono supporters. Here are two of them – wonderful woman, Roxanne Kiely (song writer) and Anne Donnelly (author). 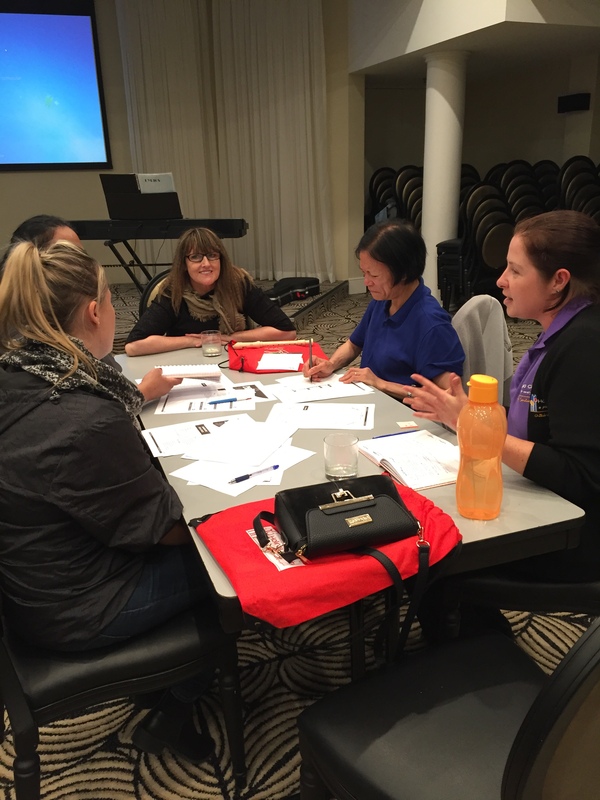 Roxanne, ran a Songwriting Workshop for Early Educators in Paint Cumberland REaD NSW, and Anne visited a combined playgroup in Mt Druitt NSW, where she grew up, to encourage young mums to reach for the stars. Today we celebrate and remember the importance of National Aboriginal and Torres Strait Islander Children’s Day. Thank you to the many Aboriginal and Torres Strait Islander Aunties and Uncles and workers from across Australia, who are leading us to Paint Australia REaD, Black and Yellow so that our children will arrive at school loving books and ready to learn. Tracey and Charlie from NSW’s Paint Shoalhaven REaD, Black and Yellow with Karrak, Paint Kwinana REaD WA’s black cockatoo Mascot. 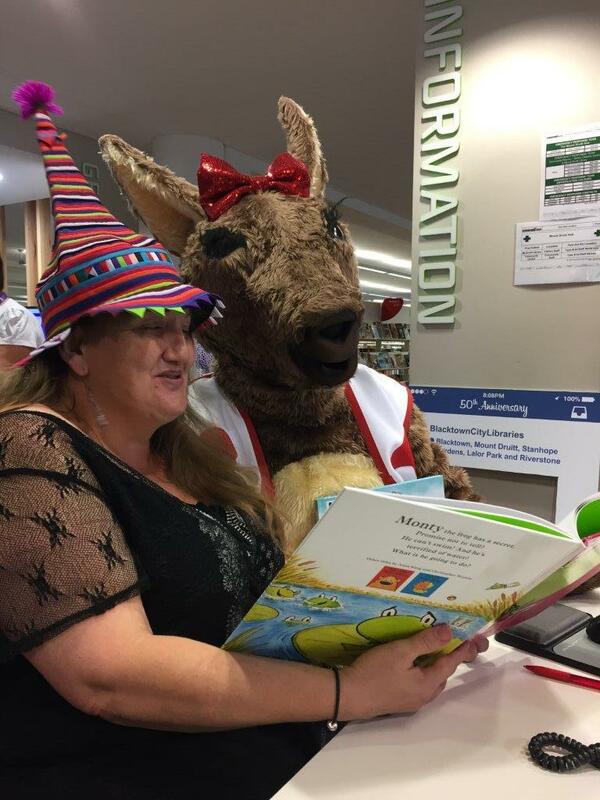 Karrak is holding Shoalhaven’s magical reading egg.